Home / Awesome Anushika • Featured • Interviews / Talking With Katheryn Winnick! 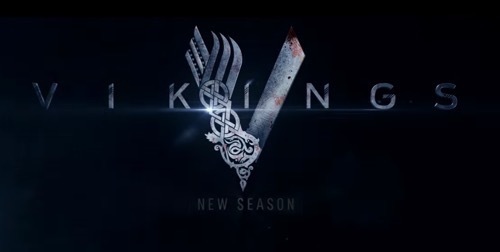 Vikings Season 4! What Happens In The Second Half? Dark Tower Scoop! And More! You know it’s a Christmas miracle when you don’t have to wait until next year to see your favorite Vikings again!!! It’s no surprise that we are absolutely in LOVE with the show. I mean, how can you not be addicted to this magnitude of epicness? If you are already a fan of the show, Katheryn Winnick needs no introduction. 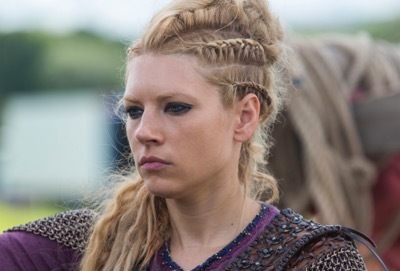 She gives life to the most badass female character known to man, Lagertha. 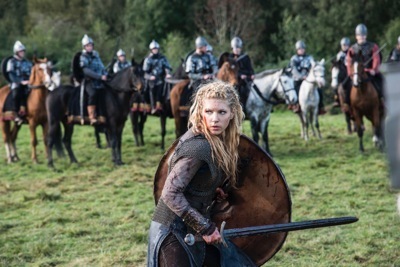 We recently got a chance to talk to Katheryn Winnick about the upcoming season and here’s what she had to say. So at this point in her life what do you think is actually her strongest motivation for everything that’s going on? What is driving her forward as we catch up with her at the start of this second half? In the first episode, we meet Ecbert and then we also see you talk to Ragnar very pointedly about your regret and their regret and disappointments and I was wondering if you could talk about the emotional aspect. 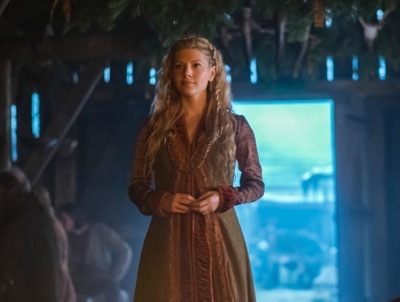 You know, you posture Lagertha as very strong but it’s the emotional aspect where you show weakness in the first episode, you show, there are tears in your eyes and if you could talk about that scene with Travis and about just the whole arc that we have to look forward to with their relationship? 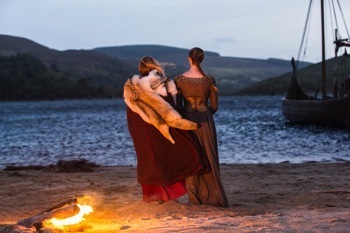 It seemed from the previews that there is going to finally be a reckoning between Lagertha and Aslaug. Can you talk a little bit about that and whether or not we are finally going to get a sense of satisfaction that Lagertha has kind of taken care of business there? I wanted to talk a little bit about The Seer and your perspective on that character and more specifically, has he always been cool as a cucumber and now he is screaming, which we were kind of wondering what that means. Is something truly horrible coming? Can you elaborate on that? I wanted to ask about the relationship with Astrid and how it came about. I know she is not just suddenly allowed to be in, plus could you talk about sort of what’s going on there? “So it did make sense that she would find comfort in another human being and that that human being happened to be a women and I don’t feel that Lagertha necessarily is a lesbian. I wouldn’t necessarily see that and I never really played it that way, but she did find a love with her that other men have never been able to give her”. We’ve seen Lagertha almost marry Calf and then kill him and is there some other end game involved with Astrid? Is she using her for something else? I was wondering how Lagertha feels about Bjorn abandoning his responsibilities to his daughter? Obviously there is some great emotional stuff coming up with Lagertha, but people really enjoy your fight sequences in battles. You are very talented and have a good background in that. Is there anything coming up in these next stretch of episodes that was particularly fun or interesting for you to do as far as action and fights and stuff like that? A lot of the characters have really been changed in the faiths of their ambitions and the faiths of the things that they are based off of. What’s happened in the show? How have Lagertha kept her moral center in the phase of the upheaval in a way that a lot of the other characters have not? 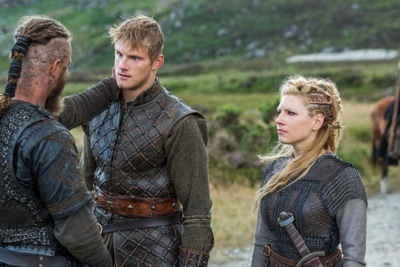 Do you think, there was an episode this past season that showed Ragnar looking with fully back in the time and when you are all family, and do you think that it was his, it was into detach himself from his commitment to his family that is a difference between how both of those characters responded to events? Your role in The Dark Tower coming up. I know they haven’t announced who you are but coming from, like when Vikings started out it wasn’t epic and now it is epic, but like just going into a production that is so big, like what was it like working with them or on that story. I know they said no two questions, but it’s kind of like a combo. How is it working on that set with that story? “But The Dark Tower was an amazing experience. We shot in Cape Town. I shot it during my hiatus. I only had less than two months of break in between so it just likely worked out in terms of scheduling. So I went straight from the end of season four, and straight to Toronto to visit my family and literally two days later, I was on the plane to Cape Town so it was really quick. How much do you delve into what’s written in the history books, in terms of immersing yourself in the character as opposed to kind of just trusting what Michael has in store for you do you? 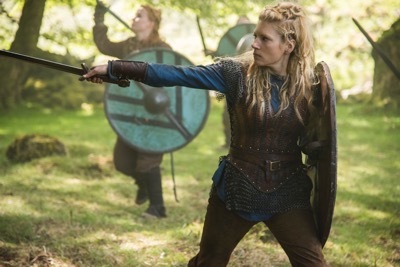 Have you two worked on kind of shaping and sculpting Lagertha or how has that process kind of evolved over the four seasons? I can’t thank Kathryn enough for taking time off her crazy schedule to talk to us. It’s always such a pleasure and joy. Wishing her all the best for the upcoming season and all her future projects. Vikings are prepared to raid your screens this Wednesday. So don’t forget to tune in to History Channel on hump day 9/8c. Living dangerously between Science & Fiction, in a land where winter never comes. Just one, fan of many, no limits, too. Who am I? A Dreadful Viking raiding lands near & far. Talking With The Cast Of Telenovela! Eva Longoria! Jancarlos Canela! Amaury Nolasco! Jadyn Douglas! And More! Contest Time! Stargate Atlantis Is BACK On COMET TV! Win An Exclusive Prize Pack!